13-Exercise Ball Workout… How You Can Get Fit Faster! Want to start working out with a fitness ball, but you’re not sure which exercises to do? This stability ball has the exercises written directly on it, complete with images. Now you have a total body workout program to follow, and you don’t need a TV or DVD player. Exercises include upper body, lower body and core strengthening exercises. I love this concept: so simple, yet brilliant! There are 13 exercises printed on the ball itself, but the package includes even more movements (over 30) in the accompanying ebook. Pick and choose which ones you want to do, but if you’re ever stumped, just look at the ball! 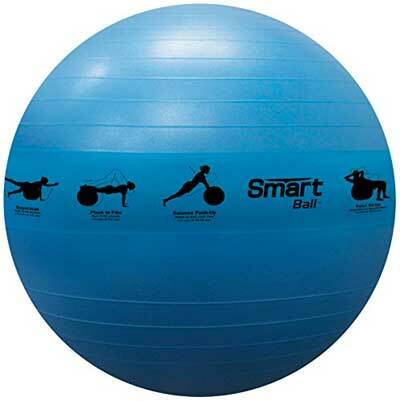 What’s cool is that this stability ball is basically the same price as other versions. You are not really paying any more for the added benefit of having the exercises printed on the ball. 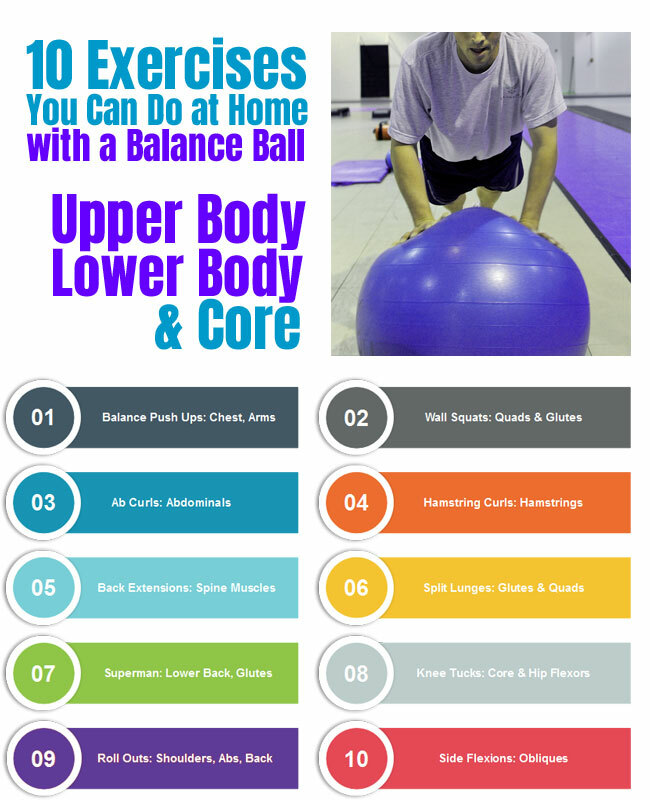 If you’re shopping for a balance ball, you already know that they are great for strengthening your core. Whether you are doing push-ups, hamstring curls or 1-legged bridges, your abdominals are getting a workout while you are toning your arms, hamstrings and glutes. It’s like getting double the workout in half the time. Plus professional fitness trainers are using them more to help athletes and body builders with flexibility, endurance an core strength. It’s even great for yoga and pilates. To some people this $20 workout tool is the best piece of equipment in their arsenal. In addition, stability balls go beyond the gym. Many people have started to use them as office chairs to keep their core engaged while working. They are also a great tool for relaxing tense muscles. Just try laying on the ball in a supported back bend position. Similar to using an inversion table, it’s an easy way to relax the spine. Another cool feature of exercise balls is that they make great gifts. They are inexpensive to buy, yet you can use them in so many ways. Plus, they are versatile, portable and easy to use by virtually any person at any age. There are typically 3 sizes of stability balls. It is important to choose the proper size for you, whether you use it to workout or use it as a desk chair. Basically, you want your knees bent at a 90 degree angle hen you are sitting on it with your feet flat on the ground. 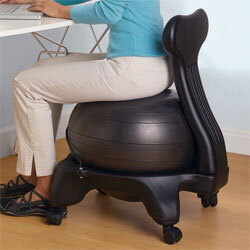 This is especially important for posture if you use the fitness ball to sit on while working. Relieve Pain, Engage Your Core & Improve Posture All While Sitting at Your Desk? Get Firm, Flat Abs with a $20 Fitness Ball? Who needs a personal trainer? 10 Gym Ball Exercises for a Flat Stomach – in 10 Minutes!